The author discusses the range of applications, from the assessment of different architectures and their suitability, to the collaboration between system engineering, specialties such as safety or security, subsystems engineering teams, software and hardware. This is illustrated by several examples of representative models which constitute a common thread. 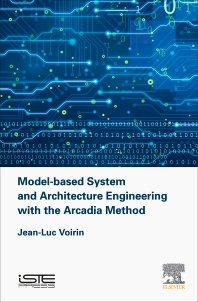 Not only yet another book on modeling, but rather a journey in systems engineering, enlightening the use of models to support it. It is a valuable book because there are few books that deal with MBSE. It also helps that it is well written. The method laid out in the book, seems to be pragmatic and comprehensive at the same time. For any one interested in MBSE, but maybe frustrated by too many concepts, to many notations, too little guidance in SysML, this is a refreshing alternative. To my taste the book could have gone a bit further in giving examples / rationales for design guidelines.